The Veterans Health Administration is building a nationwide 3-D printing network, with the help of one of the nation's biggest printer manufacturers. The VA is identifying 3-D printing experts throughout its medical centers to find the best specialist for each device that needs to be made. The launch of the network coincides with a donation of five printers, materials and training from Stratasys, a 3-D printer manufacturer with headquarters in Israel and the Minneapolis area. Some hospitals have embraced the 3-D printing of pre-surgery models because it allows them to avoid potential costs and risks associated with complex surgeries. The theory is that a surgeon who has practiced operating on the organ or tissue being treated is more likely to have a more smooth and efficient procedure. Several VA medical centers have been using 3-D printers for custom surgical tools and assistive devices that help veterans with physical mobility and motor functions. But much of that work has taken place in siloes, said Dr. Beth Ripley, an attending radiologist at VA Medical Center Puget Sound in Seattle who is leading the creation of the network. The goal of the new network is to identify experts in specific kinds of 3-D printing, such as orthotics or surgical tools, and route design requests through those specific medical centers. Ripley specializes in creating models used by surgeons to practice before a surgery, so she would be asked to create designs for those models from a patient's imaging records, and then send the finished 3-D design to a VA medical center closest to the patient for printing. The donated printers are being installed at VA medical centers in Albuquerque, Boston, Orlando, Fla., San Antonio and Seattle. The VA will now have at least 12 printers across the country and plans to expand the network. While the VA isn't yet using 3-D printers to create prosthetics, this network is expected to help the VA move in that direction, Ripley said. Prosthetics are a major service line for the VA because of the nature of many veterans' injuries. Providers and manufacturers are increasingly looking to 3-D printing to create unique and precise products. Devicemaker Stryker Corp. and several major academic medical centers have embraced the technology. 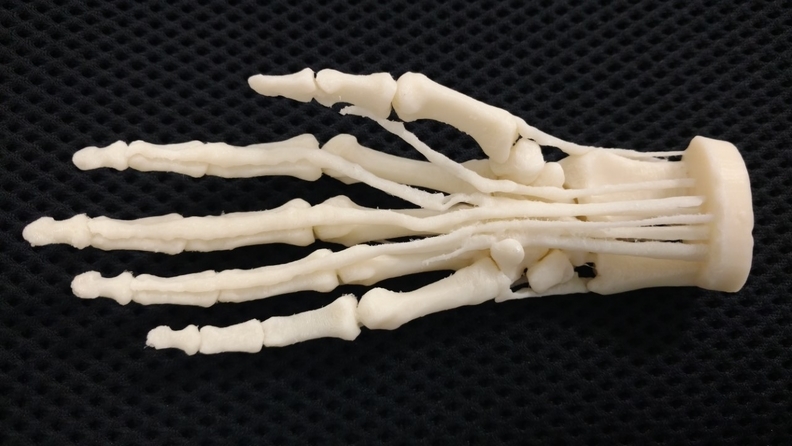 The 3-D printing network is a part of the VA's Center for Innovation, which identifies new approaches to care. The integrated health system is known for leveraging its power as a major payer-provider to try out novel devices to solve veterans' problems and improve their quality of life.